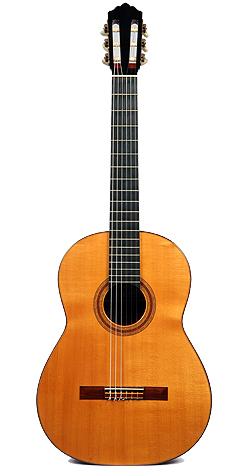 Model: Classical This 1969 F. Manzanero guitar has a fascinating history. It was built for legendary guitarist Laurindo Almeida and used on many records (L.A. Four and numerous others). Then it was owned by the well known studio musician Dennis Budimir who used it on literally hundreds of movie soundtracks and recordings. It has to be played to be believed! Please call 818-993-4128 or email inquiries@danzeffguitars.com to inquire.